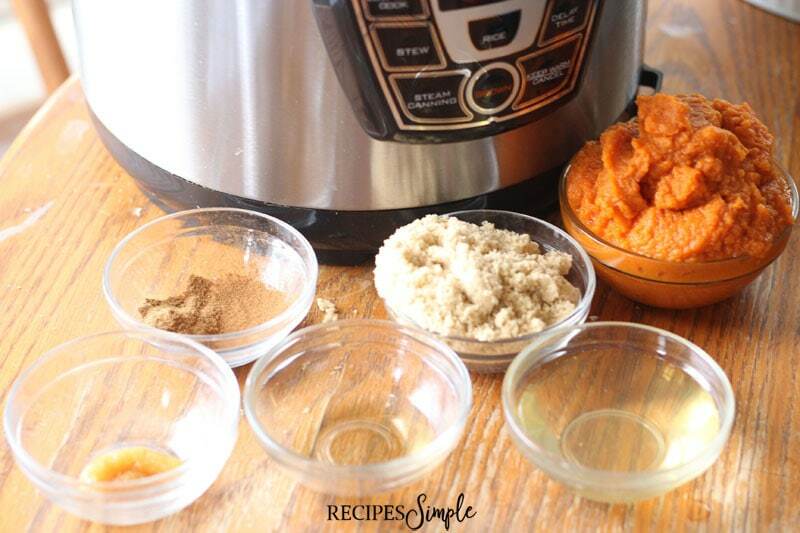 Instant Pot Spiced Pumpkin Butter is a delicious Fall treat that is great served on fresh bread, biscuits, scones, waffles, pancakes, and even as a tasty topping on ice cream. What if I told you that you could have delicious pumpkin butter that tastes like grandma was slaving over it all day in just 5 minutes? You probably wouldn’t believe me. 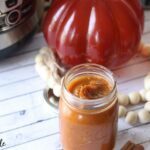 But if you give this Instant Pot Pressure Cooker Spiced Pumpkin Butter a try you will soon find out. It is so creamy and filled with all your favorite flavors of fall! Making it perfect for topping ice cream, spreading on morning toast or banana bread, or gifting to your holiday hostess. 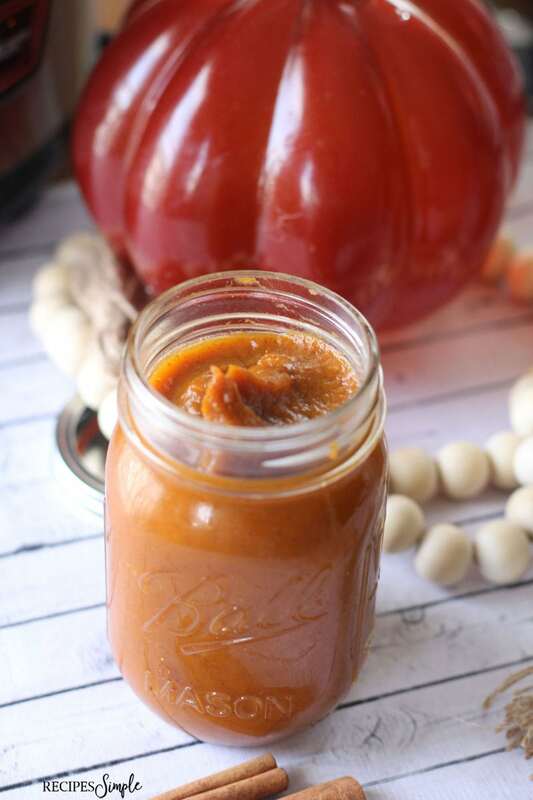 Scroll to bottom for printable Instant Pot Spiced Pumpkin Butter Recipe. 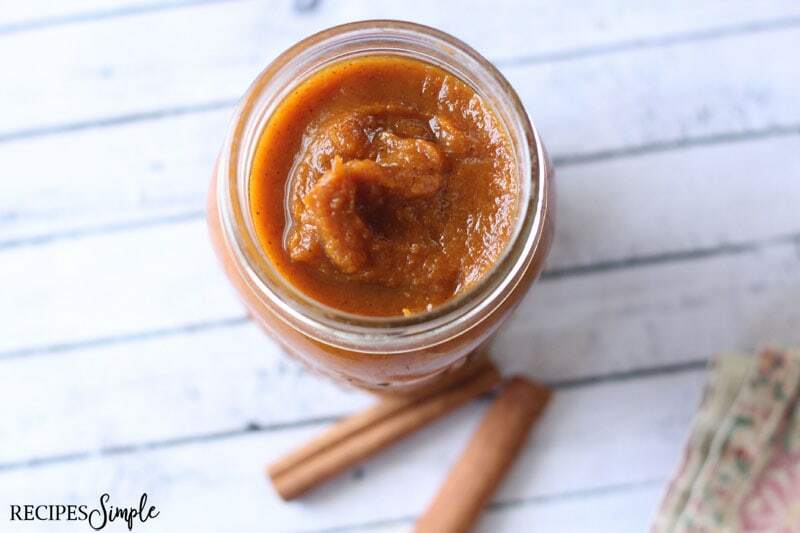 Gather your ingredients to make this delicious Spiced Pumpkin Butter. 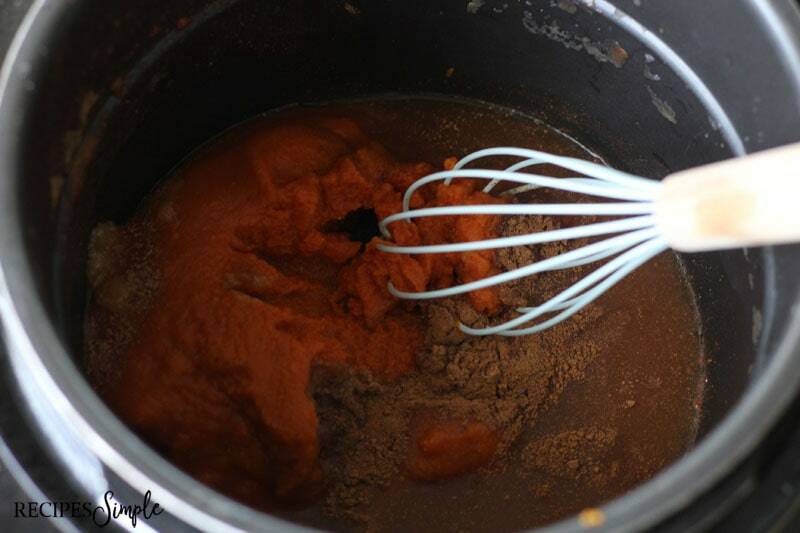 You’ll need pumpkin puree, apple juice, brown sugar, fresh ginger, vanilla extract, pumpkin pie spice, and cinnamon. 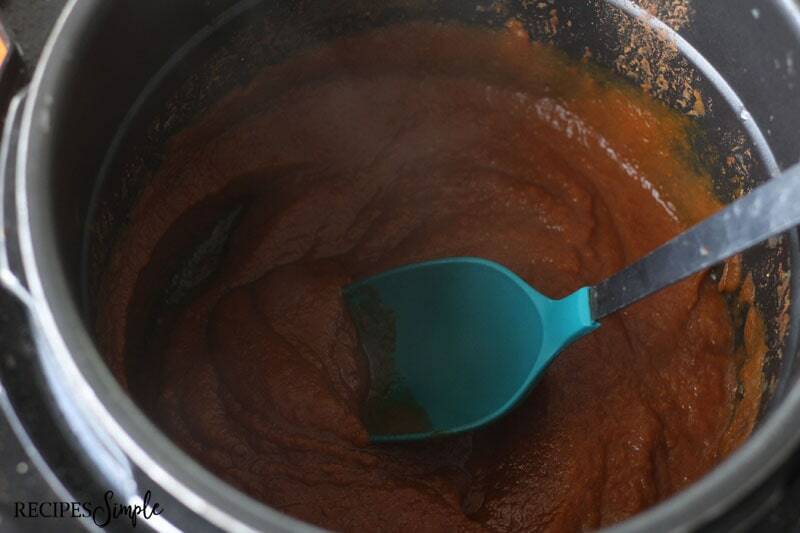 Place pumpkin puree, apple juice, brown sugar, ginger, pumpkin pie spice, and cinnamon in pressure cooker. Stir well to combine and scrape down the sides. Place the lid back on securely, be sure pressure valve is closed, and cook on high pressure for 4 minutes. Slowly release the steam, remove the lid. Stir in vanilla extract. 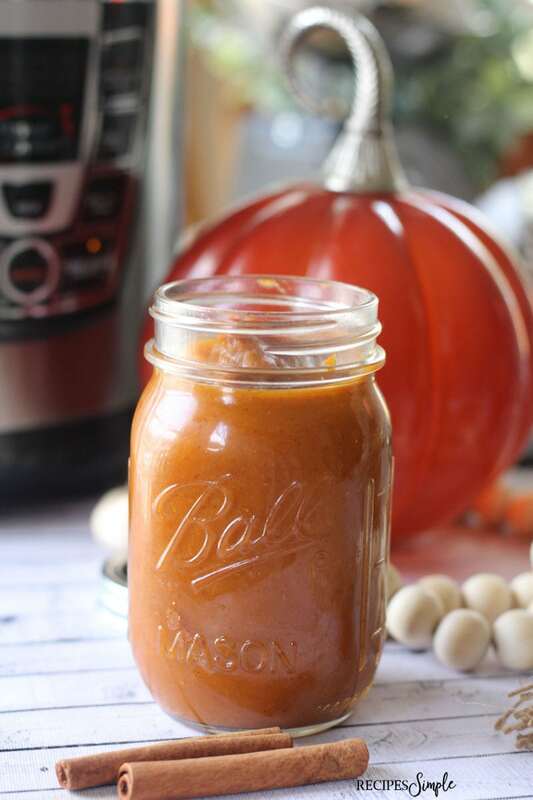 Let your pumpkin butter cool then transfer to a clean jar with a lid. Your pumpkin butter can be stored in the fridge for 3-4 weeks. Place it in the freezer for up to a month to extend the shelf life. Double or triple your batch with the same cooking time for gifting your pumpkin butter to others. Store Pumpkin Butter in the refrigerator for up to 2 weeks in a airtight container. You can freeze pumpkin in an airtight freezer bag or a freezer-safe container for up to 1 month. Canning is not recommended for pumpkin butter. Use pumpkin butter for breakfast on toast, biscuits, scones, pancakes, waffles, french toast, bagels and on toasted English muffins. Make homemade pumpkin pancake syrup by adding pumpkin butter to heated pure maple syrup. Make your morning Oatmeal special by adding a teaspoon of Pumpkin Butter topped with pecans or walnuts. Mix pumpkin butter and cream cheese for a yummy fruit dip. I love to make my own Pumpkin Yogurt Parfait with plain Greek yogurt, pumpkin butter, pecans and granola. Use pumpkin butter as a spread on a sandwich with peanut butter or any nut butter. You can serve pumpkin butter as dip for graham crackers, pretzels and fresh fruit. Top mini-cheesecakes with pumpkin butter, chopped walnuts or pecans for the perfect Autumn dessert. Stir well to combine and scrape down the sides. Place the lid back on securely, be sure pressure valve is closed, and cook on high pressure for 4 minutes. Slowly release the steam, remove the lid. 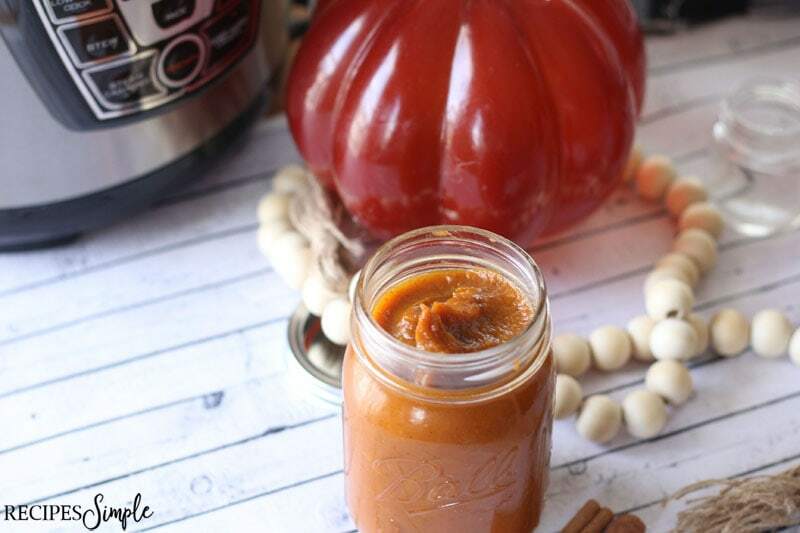 Let your pumpkin butter cool then transfer to a clean jar with a lid. Pumpkin butter can be stored in the fridge for 2 weeks. Place it in the freezer for up to a month to extend the shelf life.